As the month of November winds down, author Kate Hopper reflects on the stories behind the numbers relating to Prematurity Awareness Month. This post first appeared on her blog. November is Prematurity Awareness Month. According to the March of Dimes, 1 in 9 babies is born prematurely in the United States every year. Worldwide, that number is 15 million. It’s the leading cause of infant death in the U.S. and each year costs society $26.2 billion. Those statistics are scary for sure. But it’s hard to make those numbers mean anything unless they are attached to real people, to real parents staring down at their real babies, some of whom weigh less than a can of coke. I was in the NICU yesterday doing parent rounds, which I try to do every month. I peek into room after room, and if there is a parent present, I squirt antibacterial liquid into my hands, and knock gently on the window. I introduce myself as a former NICU parent, ask about their babies, then listen to their stories—stories of babies born way too early, of complications, sometimes of death. Some babies have been there for months and months and their families have been faced with possible, sometimes probably death. Some look exhausted, others resigned, others hopeful, still others relieved. Each story is different, of course, but they all share commonalities that connect them to one another, to me. Each time I visit the NICU I’m brought back ten years, to the fear, the uncertainty, the anger, the hope—all those emotions swirling together under the surface of new motherhood. I remember that first day I visited Stella in the NICU and how I realized that I’d gotten it all wrong—she wasn’t beautiful at all; she was yellow. I remember touching her miniature ankle, tickling her without meaning to, because who thinks of having a baby too ticklish to touch? I remember watching her on the television in my hospital room a block away, weeping, not being able to make the connection between that tiny thrashing creature on the screen and the baby that had been inside me doing her flips and twirls just days before. I hope so too. Because I can imagine this woman stopping by room after NICU room, sharing her story and listening to the stories of the parents who are exactly where she once was. But my hope is also that those NICU rooms will stand mostly empty in a decade, that we will have made monumental strides in research, in prenatal health, in health care access. I hope so. Until then, I’ll keep rounding, keep listening, and keep really seeing each of those parents who stand watch over tiny lives. Learn more about March of Dimes’ Prematurity Campaign. 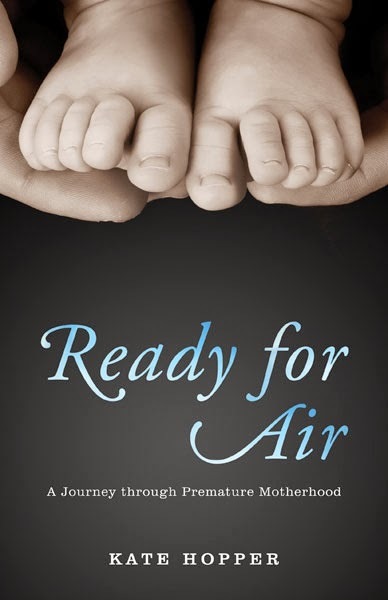 I’m happy to announce that copies of Ready for Air will be shipped out next week to all 60 of the hospital NICUs and special care nurseries that were submitted as part of the Ready for Air NICU giveaway thanks to the generosity of the University of Minnesota Press and the Sustainable Arts Foundation! Kate Hopper is author of Ready for Air: A Journey through Premature Motherhood. She teaches writing online and at the Loft Literary Center in Minneapolis, where she lives with her husband and two daughters. "There is no writer I'd rather follow this journey with than Kate Hopper. Her storytelling skills are stunning." "Mr. Barnum's Camera Man": Mathew Brady among the cannibals. "The Figi Cannibals." Photograph by Mathew Brady, 1872. Courtesy of the Meserve-Kunhardt Foundation. Traditionally, Mathew Brady occupies an esteemed place in the history of photography and in the history of the United States. Otherwise known as “Mr. Lincoln’s Camera Man,” Brady stands nobly as a pioneer of photographic portraiture and as the fearless chronicler of the Civil War. In fact, Brady’s Civil War photographs inaugurate the genre of war photography. It may come as a surprise, then, to find that a sense of righteous indignation filters through the pages of Brady’s biographies, which inevitably portray him as a tragic artist. He dies impoverished, unappreciated, and unable to sell the collections of photographs he designed for and as history. First, his 1850 Gallery of Illustrious Americans was a commercial failure. Then he was unable to find a venue for the exhibition of his Civil War photographs until the time of his death. During the Reconstruction Era, neither the Library of Congress nor the American public took an interest in the frank photographs of the divisive war they wished to put behind them. Yet, Mathew Brady did enjoy popularity in his lifetime, earning acclaim for his images of the freak show performers who P.T. Barnum featured in his “American Museum,” one of the most popular mass culture venues of its day. 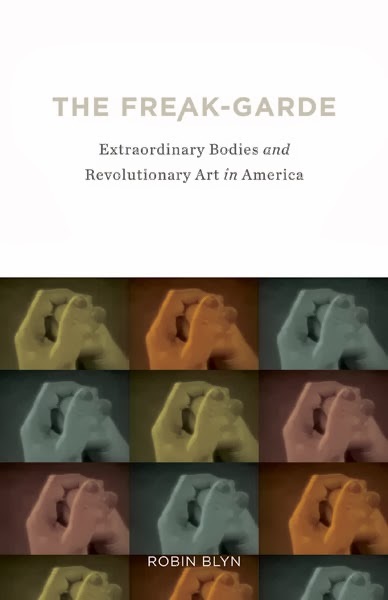 Only in passing do any of Brady’s biographers mention his extensive work photographing freaks, as though his association with the tawdry business of Barnum was beneath the patriotic artist they depict. When they do mention his incredibly popular cartes de visite and daguerreotypes of Barnum’s freaks, the implication is that these images were simply the training ground for Brady’s more serious work, a juvenile pursuit that he gives up to realize his greater vision. Yet, the dates refute such a neat plotline. The thousands of freak photographs attributed to Mathew Brady were taken before and after the war, and although they have yet to be legitimated as a “gallery” or a “collection,” they were taken side by side with Brady’s more famous portraits of “Illustrious Americans.” Indeed, these entertainers were themselves illustrious Americans of the period. Brady’s photographs of freak show performers may be the result of fortuitous circumstance—his first studio was directly across the street from Barnum’s museum—but these photographs are as valuable any of the others that he produced in his life. It is in his freak photography, and not in his more celebrated historic or journalistic enterprises, that Brady arguably experiments most fully with the powers of photography. More than any others, these photographs contemplate the freakishness of photography as a medium. A closer look at them reveals some of photography’s earliest reflections on the desire specific to photographic consumption. We might take as an example Brady’s photograph of the “Figi [sic] Cannibals,” an image that reflects the unrequited desire at the heart of photographic representation. Both the exotic dress and the spears the Fiji carry suggest their racial and cultural differences from the largely white Victorian audience who paid to see them. Yet, the specific freakish aberration that Barnum attributed to them is entirely absent from the photograph. Unlike so many freak performers—armless men, legless women, conjoined twins—there is no corporeal evidence for cannibalism. These ostensible cannibals have the same bodies as the “normal” people who came to see them. So, too, it seems that despite their geographical point of origin, the Fiji remain in an indeterminate void; there is absolutely no background to this photograph, no theatrical setting that might remove their freakishness safely to another place or time. The cannibals are right there, before the viewer, and they are armed with a series of vertical spears that presumably find their mark on human flesh. The disturbance of the photograph lies, then, in its frontality, for the gaze of the performers breaks the two-dimensional frame. 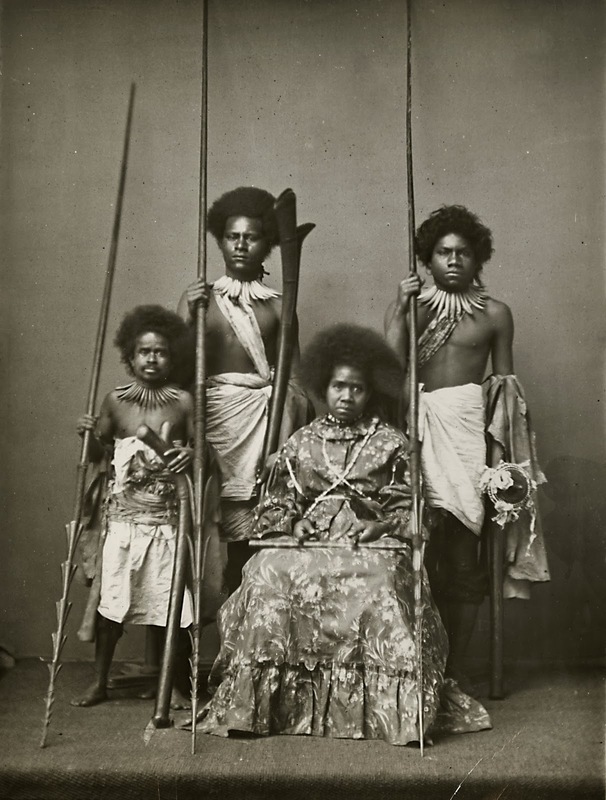 Unlike the photographic portraits of upstanding citizens in the nineteenth century, the Fiji look directly into the camera and out at their viewers. We become the objects of their presumed hunger. To gaze at the photograph of the “Figi Cannibals” is hence to engage in a never-ending cycle. As viewers, we become frustrated visual consumers of the frustrated consumers of human flesh. The cannibals stare back at us, mirroring our own unfulfilled hunger for representation with their hunger to consume. Rather than serving as evidence for the freakishness of the “Figi Cannibals,” the photograph bears witness to its own failure to represent, to the unknowability that photographs present to us. It is this presentation of the unknowable that makes photographs objects of our desire. Instead of confirming a narrative about the cannibal population of Fiji, the photograph resists our desires—for knowledge and for proof. However unwittingly, it is this power of photography that Barnum brought, thanks to Mathew Brady, to his freak shows. 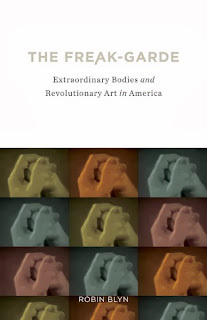 Robin Blyn is author of The Freak-garde: Extraordinary Bodies and Revolutionary Art in America. She is associate professor of English at the University of West Florida. This post is published in partnership with University Press Week, in which 37 presses will be publishing posts with one of five significant topics: the global reach of university presses; the future of scholarly communication (today); the importance of regional publishing; a subject area spotlight; or a meet-the-press post in which a member of a participating press is interviewed. Find details about the schedule here. 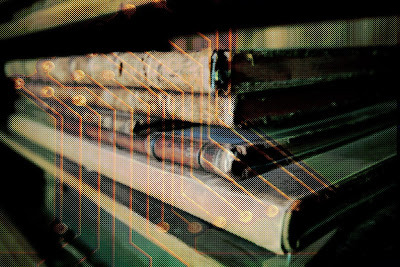 The University of Minnesota Press announces an initiative to transcend the traditional publishing model to make shorter, idea-driven works accessible to the public. Photo via Flickr. In 2014, the University of Minnesota Press will launch its Forerunners series, which marks our foray into gray literature publishing. 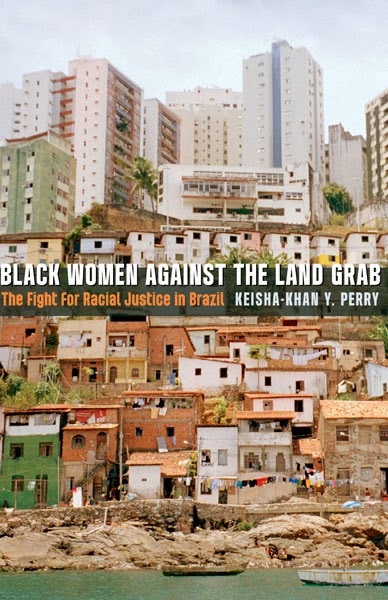 Other university presses have recently (or not so recently) begun publishing short digital works. Most of these are focused on books already published—taking sections out that may appeal to a wider audience, trying to solicit attention for backlist titles. At Minnesota, our goal is to move beyond that model and really focus on the fresh ideas that often don’t have a traditional publishing outlet. These days, scholars are working out their ideas in tons of nontraditional formats—Twitter conversations, long Facebook posts (and the inevitable comments), long-form blog posts, etc. One of the problems with these nontraditional formats is their ephemeral nature. It’s hard to track tweets from even a week ago, let alone months ago. And, of course, there’s the 140-character limit. Although Facebook allows longer posts and comments, readers can be hindered by privacy settings that allow friends but not others to comment or even read the post. And just like Twitter, it’s difficult if not impossible to search for past posts. Blogs offer an unlimited word count opportunity—you can have a longer post and solicit longer comments—but for whatever reason, folks don’t seem to be commenting at the rate they do on Twitter or Facebook. Some of the most innovative, interesting, and risky ideas I’ve seen circulating on Twitter, Facebook, and the blogosphere are not being represented in traditional scholarly publishing. I work in scholarly publishing; I’m fully aware of how long it can take to get ideas out there. Books take a long time to write and to publish. Journal articles and essays in edited collections are shorter, but we all know how long it can take those to come out. The ideas being explored in nontraditional formats may not lend themselves to these more traditional publishing models anyway. Forerunners will publish timely, innovative works of between 15,000 and 25,000 words, written for a broader audience of serious readers. These could be original writing or adapted from more ephemeral conversations already happening. We’re leveraging agile publishing tools and ebook technology to make works available quickly and widely at an affordable price. This means ebooks available from all the major retailers, like Amazon, as well as print-on-demand editions for those who still prefer a more tactile reading experience. And, I’m talking a few months from submission to publication—not a few years, which would be the typical timeline for a scholarly monograph. 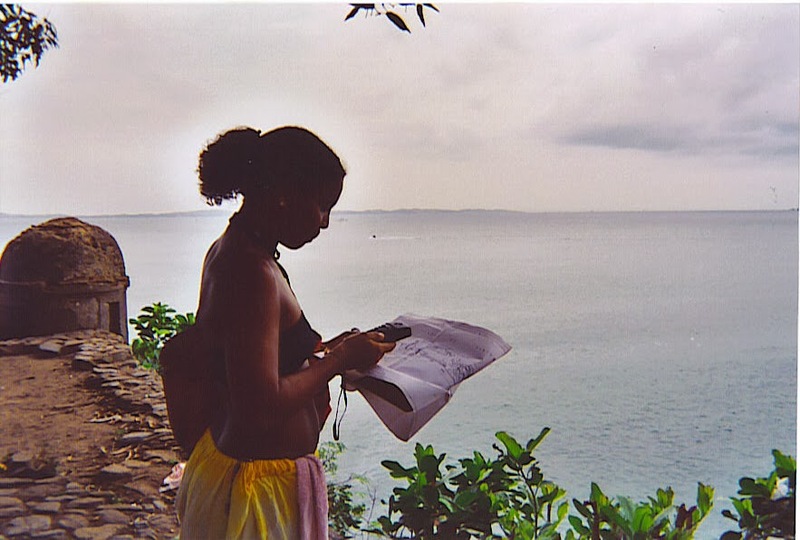 You submit your work in January; we have it out in April. We’ll still be doing a formal peer review, you’ll still be working with an acquisitions editor to develop the work, and the works will still receive professional copyediting and proofreading. These are crucial pieces to scholarly publishing that often get ignored when talking about open-access scholarship, self-publishing, etc. (For an excellent introduction to what university presses do, check out my colleague Jason Weidemann’s post.) And if the Forerunner later develops into a full-length book, there’s an option for you to publish it with us. Okay, so what does this mean for the future of scholarly communication? I can’t say whether tenure committees will accept an ebook with a POD edition. I truly believe that scholarly monographs, journal articles, and edited collections have a rightful and valuable place in scholarship and the academy. But there needs to be an avenue for shorter, idea-driven works that should be readily accessible by scholars, students, and the general public. And that’s where Forerunners comes in. For more thoughts on the future of scholarly communication, visit this transcript of University of Minnesota Press director Doug Armato's talk delivered in September 2013 at "The Future of Academic Scholarship and Publishing" conference at Indiana University. Could such tragedy happen today? 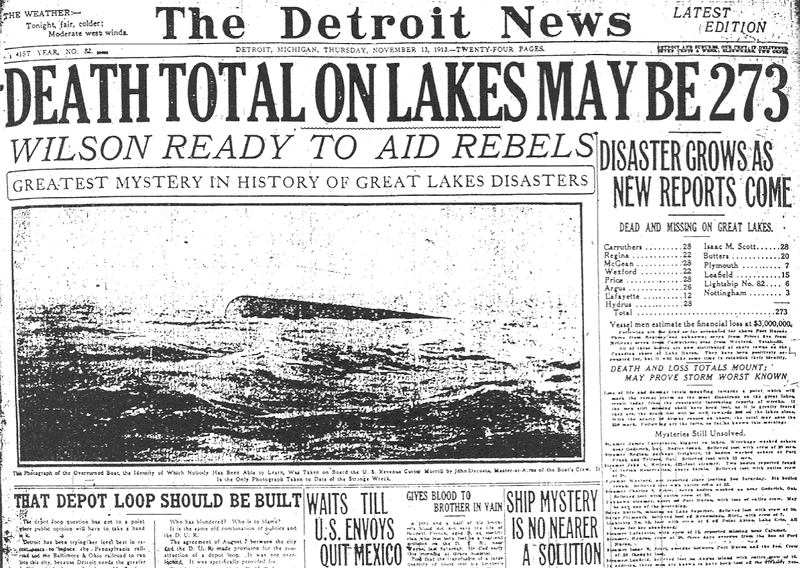 Reflections on the 100-year anniversary of the epic Great Lakes storm of 1913. Cleveland was perhaps the hardest-hit city by the deadly 1913 storm. Heavy winds tore up structures, blew out windows, and created five-foot drifts. Emergency vehicles struggled to get through drifting streets, hospitals coped with lost electricity, and the impassable streets made delivery of food and fuel almost impossible. Photo from the Library of Congress. 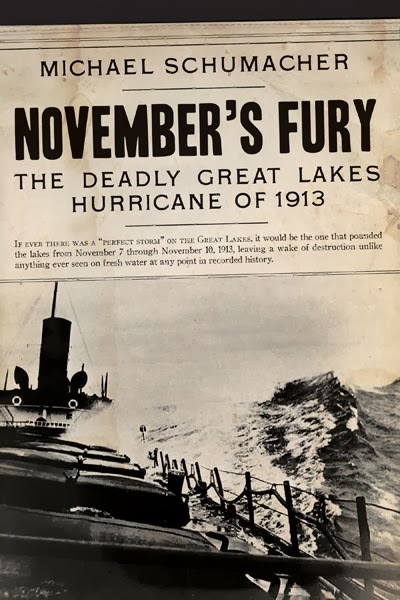 I recently spoke about the deadly Great Lakes storm of 1913 at the annual “Gales of November” conference in Duluth, an occasion that found me spending time with Great Lakes historians, shipwreck hunters and divers, maritime artists, booksellers, members of the Coast Guard, and a stream of Great Lakes enthusiasts of every age and type imaginable. It’s a terrific event, and I felt honored to be invited to talk about a storm that still holds the distinction of being the most terrifying and destructive storm in Great Lakes history. The storm lasted for four days, from November 7 to November 10, and it hit all five of the lakes, though it did its most extensive damage on Lakes Superior, Michigan, and Huron. 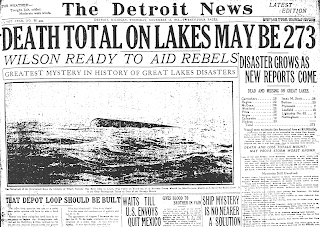 Dozens of vessels were destroyed, heavily damaged, or grounded as they fought what has been described as a “freshwater hurricane.” Eight powerful boats sank on Lake Huron alone, all in a matter of hours. 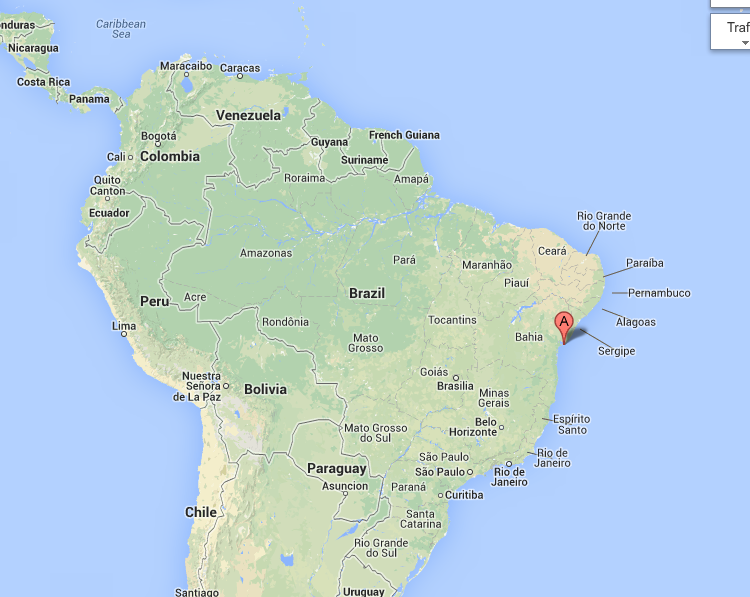 The overall toll of lost lives amounted to more than 250 sailors. Cleveland was buried in a blizzard that isolated the city for the better part of a week. Shorelines were re-sculpted. The property damage on land was immense. The storm produced scores of stories about great heroism and seamanship amid unbelievably difficult circumstances, of great and poor decisions, of survival and rescue. My job, in writing November’s Fury, was to tell some of these stories in the ultimate tale of human struggle against nature. Some of the stories are legend among Great Lakes historians and enthusiasts, and some are relatively unknown. It seems that people never tire of hearing accounts of travails on the lakes, and this was certainly the case during the “Gales of November” weekend. I was especially delighted to meet Jerry Eliason and Ken Merryman, two shipwreck hunters and explorers who recently discovered the Henry B. Smith, one of the vessels that sank during the ’13 storm. I was asked a number of questions over the weekend, but the one asked the most was also the most obvious: could such a thing happen again? were recovered on the Ontario shore. The answer depends upon what you mean. A storm of equal proportion could occur again. If it happened once, it could happen again. On the other hand, it’s extremely unlikely that a similar storm would even approach the destruction of the storm of 1913, and I say this for several reasons. 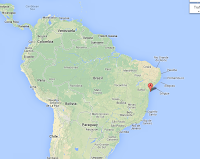 -First and foremost, weather prediction and reporting is infinitely better. In 1913, the U.S. Weather Bureau, located in Washington D.C., depended on reporting stations throughout the Great Lakes region, and most of these locations reported wind velocity and direction, barometric pressure, precipitation, and air temperatures; jet streams and radar had yet to enter forecasting. The Weather Bureau would create charts and prognosticate to the best of its ability, but it was a painfully slow process. By the time a vessel’s captain obtained information at the docks, the wind could be changing direction, the barometric pressure could be falling at an alarming rate, and waves waves of monstrous sizes could form. After the storm of 1913, shipping company officials and boats’ captains accused the Bureau of incompetence—or, worse yet, not reporting a major storm in progress—when in fact storm warnings had been posted throughout the region. There was little respect for weather reporting, and captains often ignored the warnings, or, in some cases, left port before the warnings were posted. The L. C. Waldo, for instance, left port loaded with iron ore before the storm blew in. The early part of her trip was uneventful, but the ship’s captain, John Duddleson, one of the most capable and experienced officers on the lakes, eventually found his vessel in the teeth of a storm that dismantled his boat and tore away the Waldo’s rudder, leaving her helpless against gigantic seas. The Waldo ultimately grounded in an extremely precarious position, and only a heroic rescue mission saved her crew from being lost. -It’s also important to remember that trip and tonnage bonuses were paid to captains at the time, creating an incentive to go out in inclement weather. Captains would never risk their vessels and the lives of their crews for the extra money, and most vessels dropped anchor and did not sail until the storm passed, but as the numbers show, many went out. In at least one case—the previously mentioned Henry B. Smith—the captain was allegedly ordered to sail or face unemployment. This just would not happen today. -Communications equipment—ship-to-shore and ship-to-ship—existed, but only a small percentage of boats had this equipment in 1913. The equipment was expensive and shipping companies did not want to invest the money in it, especially when the captains and crews opposed the idea of it. Sailors hated the idea of a company’s “spying” on them via onboard communications equipment. One fleet—the Shenango fleet—was known for its safety features and communications capabilities; every one of its vessels stayed in during the storm. -Finally, vessel construction is much, much better today. In 1913, there were still wooden boats and whalebacks working on the lakes, along with barges that were often old schooners no longer reliable in carrying huge loads while navigating stormy waters; all of these were being phased out by steel vessels, but even these newer bulk carriers were constructed with steel that proved to be more brittle than the materials used a little more than three decades later. This doesn’t mean that big, modern freighters are fail-safe against the forces of nature. The Edmund Fitzgerald, as strong and supposedly safe as any vessel on the lakes in her time, fell victim to a vicious storm in 1975—a tragedy that still seems impossible to believe today. November is a very unpredictable month, but with modern weather forecasting and communications, the chances of a storm claiming as many vessels as you saw in 1913, with the tremendous loss of life, is very unlikely. Still, nature will have her way in unexpected ways. The bottom of the five Great Lakes is littered with wrecks that stand as silent proof of that. Michael Schumacher has written twelve books, including (most recently) November's Fury: The Deadly Great Lakes Hurricane of 1913, Mighty Fitz: The Sinking of the Edmund Fitzgerald, and Wreck of the Carl D., and twenty-five documentaries on Great Lakes shipwrecks and lighthouses. He lives in Wisconsin. "After 100 years, the definitive book about the Great Storm of 1913 has finally been written. In November’s Fury, Michael Schumacher deftly interweaves the stories of the scores of ships sunk, grounded, or damaged by the freak November hurricane with the tragic stories of a cross-section of the more than 250 Great Lakes sailors that died or were forever psychologically scarred." "November’s Fury is a moving and historically rich account of spectacular survivals, daring rescues, and heartbreaking loss. Michael Schumacher’s meticulous research and adroit storytelling give voice to the hundreds who perished in the Great Lakes storm of the century, revealing a human tragedy of immeasurable magnitude. November’s Fury touches all of our hearts."